Parent and Family engagement is a critical factor in determining the success or failure of students and schools. 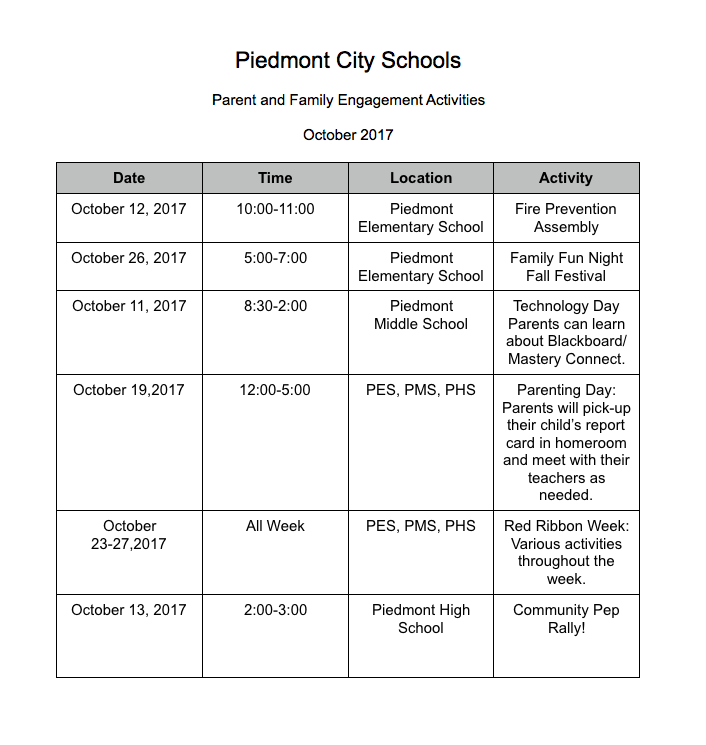 The Alabama State Department of Education (ALSDE) and the Piedmont City School District (PCSD) recognizes the need for ongoing, meaningful parent engagement. Parent engagement is a community effort—where schools, businesses, community agencies, churches, and government turn their attention to the important role of parents and families in the education of their children.